Today was a full day again. Got on the salt early and ran a 164.981. Had to let the car cool down for awhile and got ready for a final run. This time he ran a 164.521. That Bit** just didn’t want to hit the 165. He was going faster but since it’s the average, it came out lower. We think we were still the best time in our class, the next one was around 160. So, after all of this, we started to pack up. We did, however, have two photo shoots at the end of the day. We were approached by an Australian magazine and a free lance photographer who shoots for a bunch of Canadian magazines. Andy has actually been in contact with the Australian journalist before on the internet so it was nice to actually meet. Friday morning will also be busy. We have another free lance appointment at 7:00 am so we can catch the morning light. 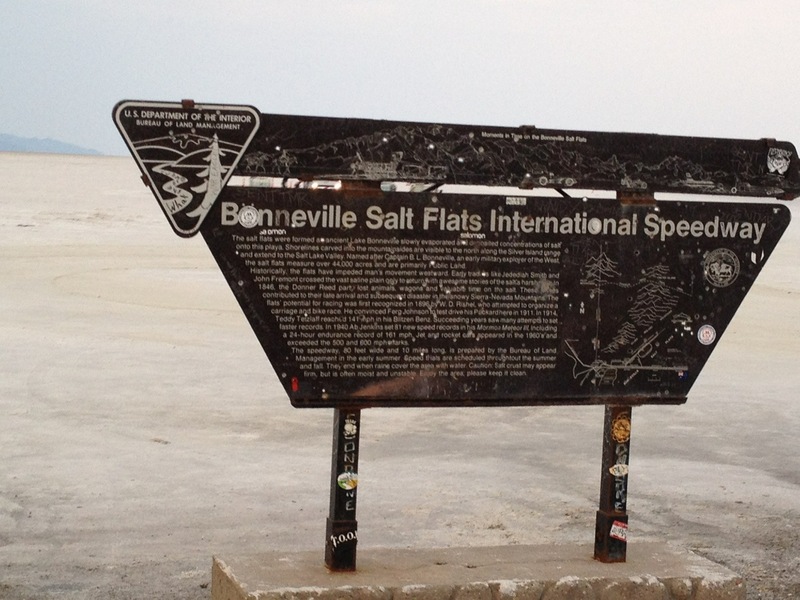 We were also approached by a woman working on a Bonneville book, so she may stop by as well. Lots of interesting things going on. No promises that anything would actually be published but I can guarantee that a lot of photos will be making the rounds. If I only had a nickel for every photo taken, I may have enough money for fuel on the way home. We worked on cleaning the salt off of the trucks. Everyone can clear their schedule and help us when we finally decide to come home. Every nut and bolt must come off the car and each piece needs cleaned. That’s not even including the truck and trailer! We’ll have enough salt left over for our whole town to get through the winter. So, we hope to try to leave by noon tomorrow and start our journey home. I should be able to post more upon getting better cell phone reception. The goal is to see a few things on the way home, not sure what. If I leave it up to Steve, we’ll see the “world’s largest” of anything he can find. Luckily, I have given myself veto power over everyone else’s suggestions. So, goodby from Wendover for now. 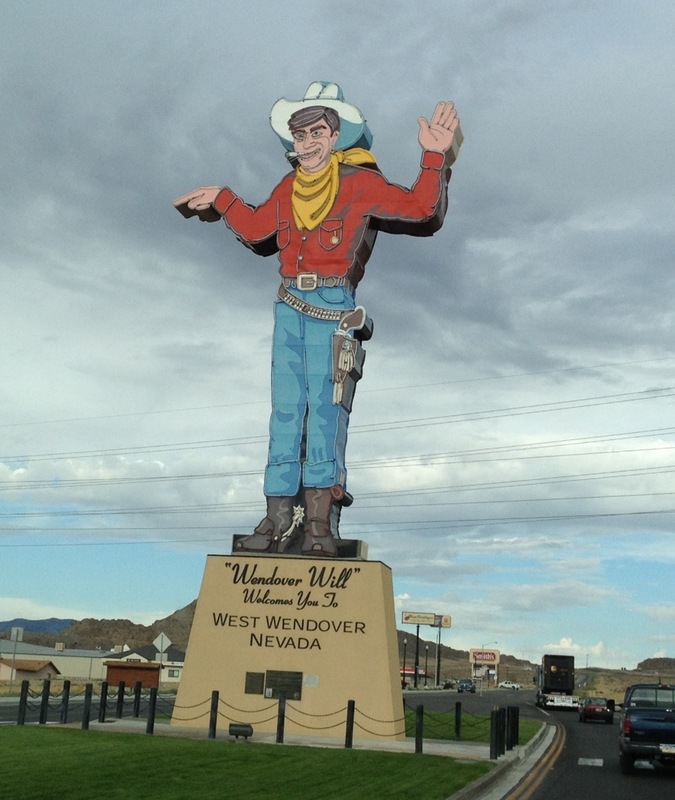 Below is a picture of Wendover Will, the town mascot that looks over the casinos at night. He would look good in Berrysburg. 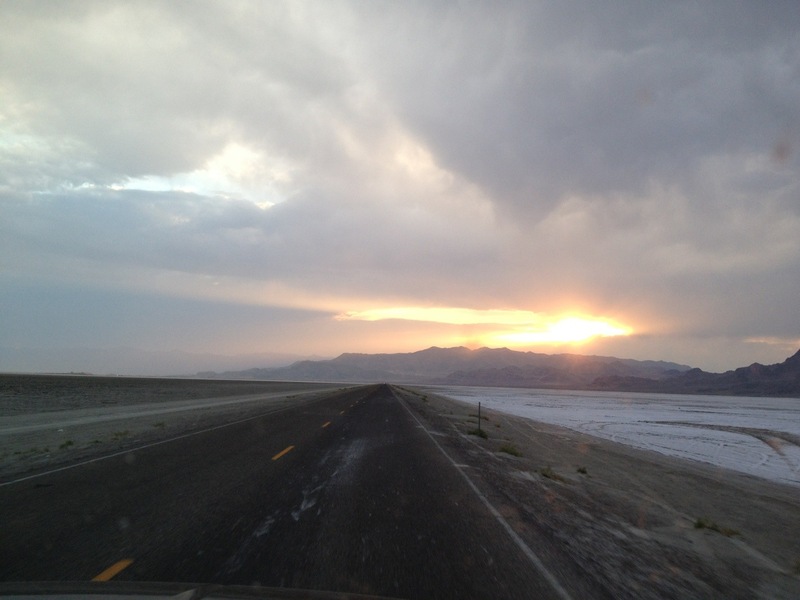 This entry was posted in Bellytank, Speedweek 2012 on August 17, 2012 by vonwelker. I like that…you “gave yourself veto power over everyone else’s suggestions.” But I guess the coordinator is entitled to that! Have fun and stay safe. After the car has been cleaned and put back together, is it going on the living room ceiling? I don’t think the BB should be cleaned. She should be enshrined, living room or basement, just as she is. Don’t put it in the house yet!! It needs to go back to the shed to be improved for the next time!!! There will be a next time??? Right Kim?? I agree Ashley! Next time! Aw, I have very fond memories of Speedweek 2012. I’m making the assumption that I’m the “Australian journalist” you referred to. I was stunned by the fit and finish on the bellytank when I first saw it, the article which I hope you got a copy of turned out beautifully. Now of course Andy has been a great help to us over the last eighteen months as we reconfigure our piece of junk to run its new motor and finally have a crack at the U.S record in our class E Gas Lakester. I’ve loved reading your blog, great writing, wry sense of humour and all the background stuff that makes the salt as addictive and punishing as it is. If you ever think of coming to Australia make sure we’re in the loop. Make sure you stop and see Danielle in Iowa!! Ron will wash all the salt off. Anything special you want me to make? Like reservations???? And don’t bother to call ahead. Everything is ready. Just honk the horn when you’re in the driveway! Can’t wait! !